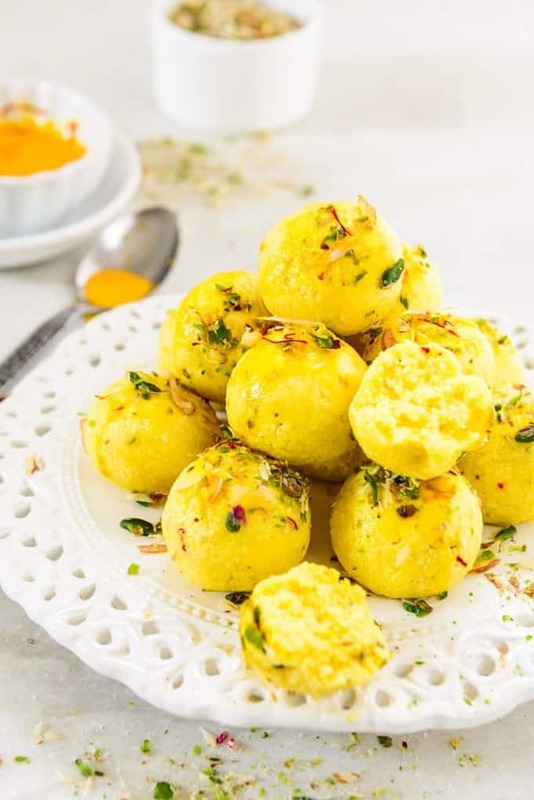 Kesar Malai Ladoo is a very delectable sweet preparation that is a must for festivals and celebrations. Traditionally made using paneer and malai, this sweet can also be prepared by mixing paneer and condensed milk. The sweet has undergone many variations through the years. The ladoo is soft, melt-in-the-mouth, and stays fresh for a few days. It is also quick to make and the kids will love it. What adds to its taste is the homemade flavor and freshness, something that no store bought sweet can compare with. 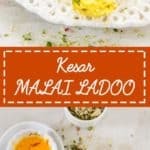 Here is how to make Kesar Malai Ladoo. 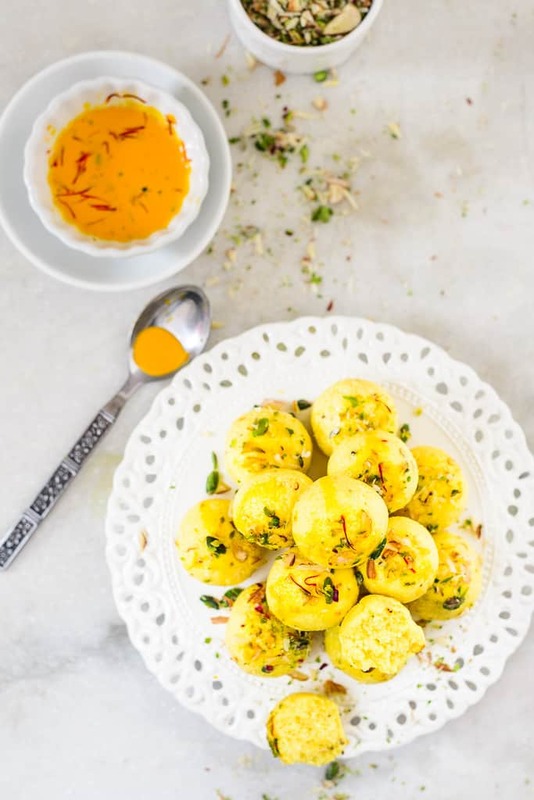 If you like this recipe, you can also try Kesar Malai Peda. Add chenna and fresh cream in a non stick pan and cook on medium heat till it starts to leave the sides of the pan. Add cardamom powder, saffron soaked in milk and sugar nd cook for another 3-4 minutes. Mash the mixture nicely with the heels of your hand until it is smooth. Divide the mixture into equal portions and shape them into ladoos. Apply silver foil on top.